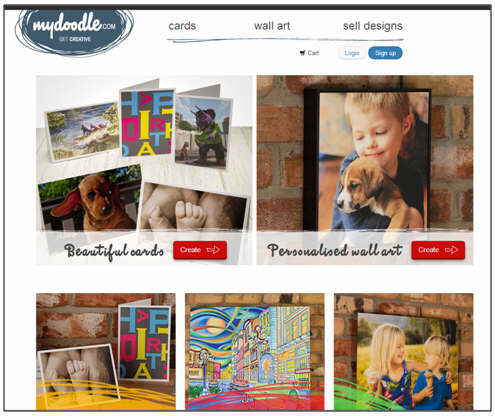 CreateToday has undergone a complete overhaul and now goes under the name of Mydoodle. At the moment they don't now offer complete designed cards just a selection of images (including mine) that can be used to create your own card and add a personal greeting. My apologies if this means some of my posts are out of date but I'm afraid this is out of my control - I must admit to feeling a bit miffed that all the cards that I have designed are no longer available and I am trying to make sure that all the front of card images are available for use when creating your own cards If you find one of my cards that you would have liked to use but can't find the front image then email me and I'll see what I can do.